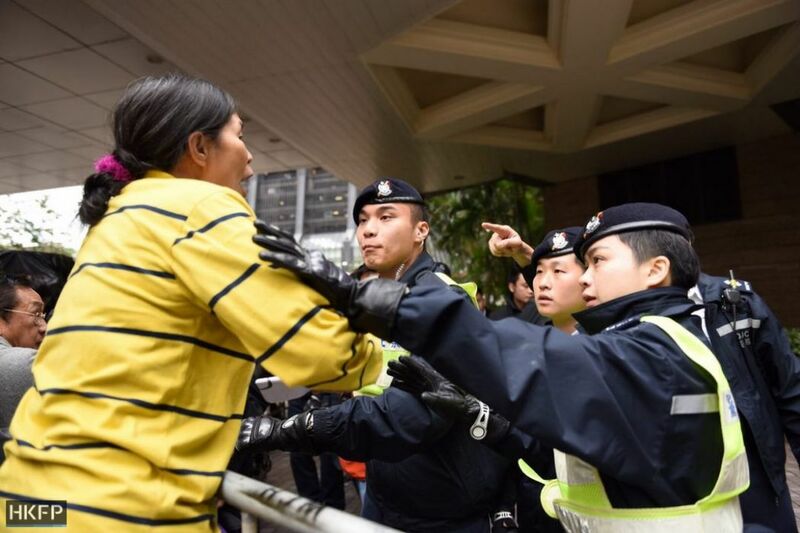 Pro-democracy and pro-Beijing demonstrators were locked in a standoff on Sunday outside the Hong Kong Convention and Exhibition Centre, where Carrie Lam was declared leader of Hong Kong’s small-circle election with 777 votes. 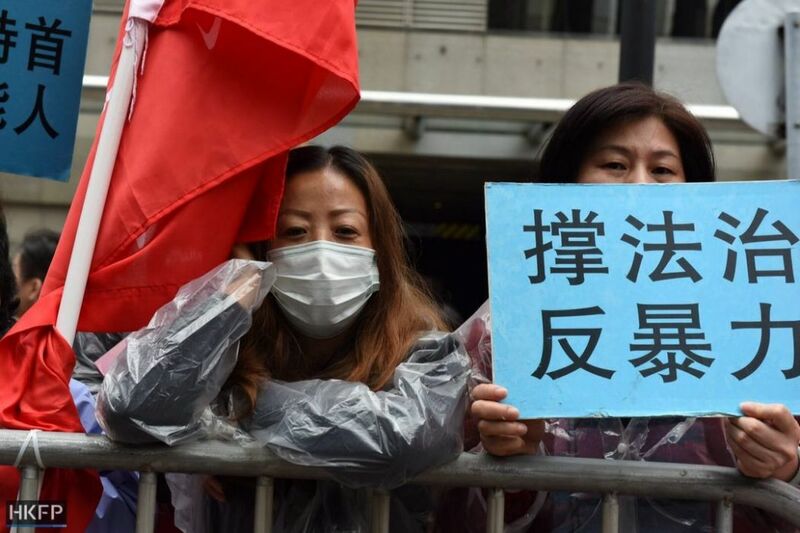 In the morning, dozens of pro-democracy protesters joined a short march to the venue from the district of Wan Chai. 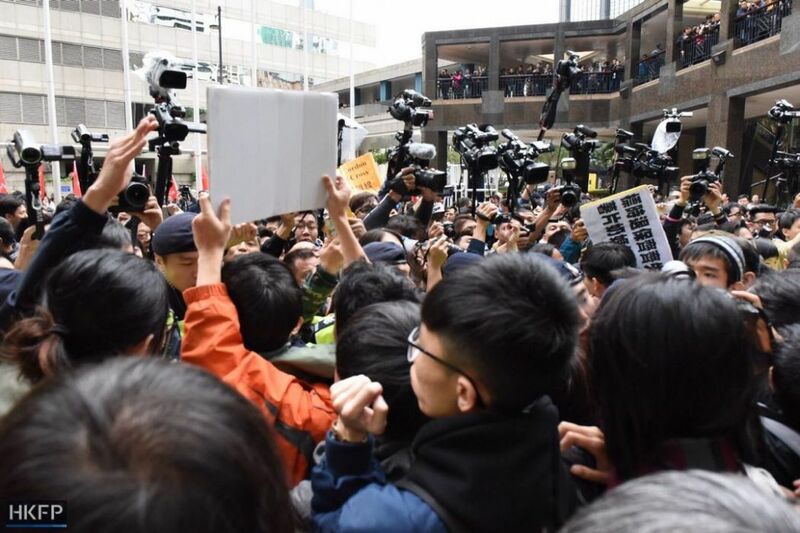 The protesters included at least seven legislators who were among the 1,194 members of the Election Committee with the right to vote on Sunday. “This is the worst election ever. 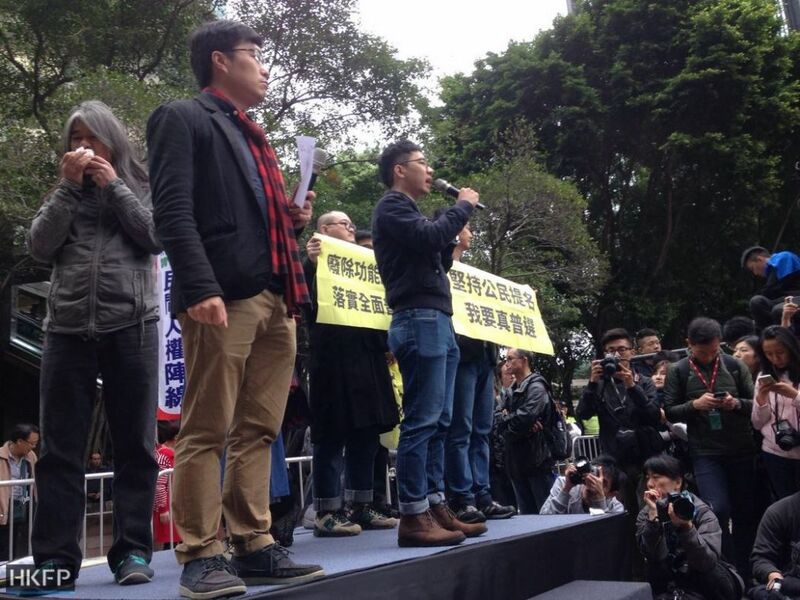 Beijing is so blatantly meddling in the election,” Mr Wong, a member of pro-democracy group People Power, told HKFP. 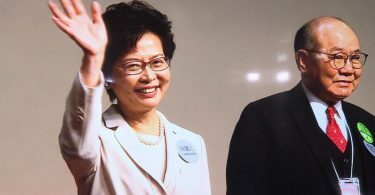 Former chief secretary Lam was heavily rumoured to be Beijing’s favoured candidate over the past two months, and some electors claimed before election day they were pressured to vote for her. However, as the marchers approached the Convention and Exhibition Centre at 10:30am, they were blocked by a police cordon. 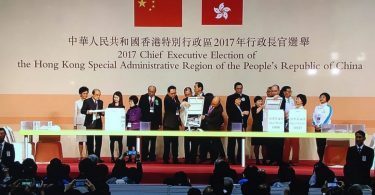 They were separated from groups of pro-Beijing demonstrators supporting Lam, who called for the election of a “good chief executive.” Some of the pro-Beijing groups had been queuing along with the public to view the election inside the venue. 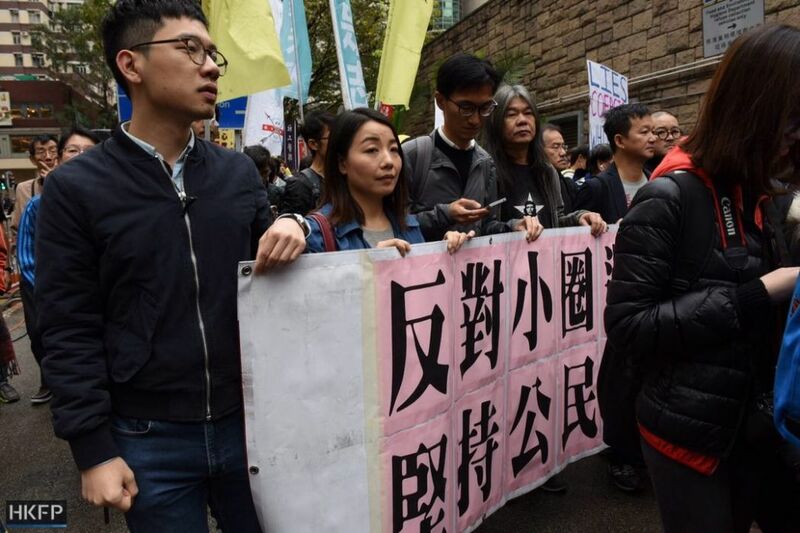 Pro-democracy activists played a protest song from the 2014 pro-democracy Occupy movement via a loudspeaker, whereas pro-Beijing activists played popular Chinese nationalist tunes. 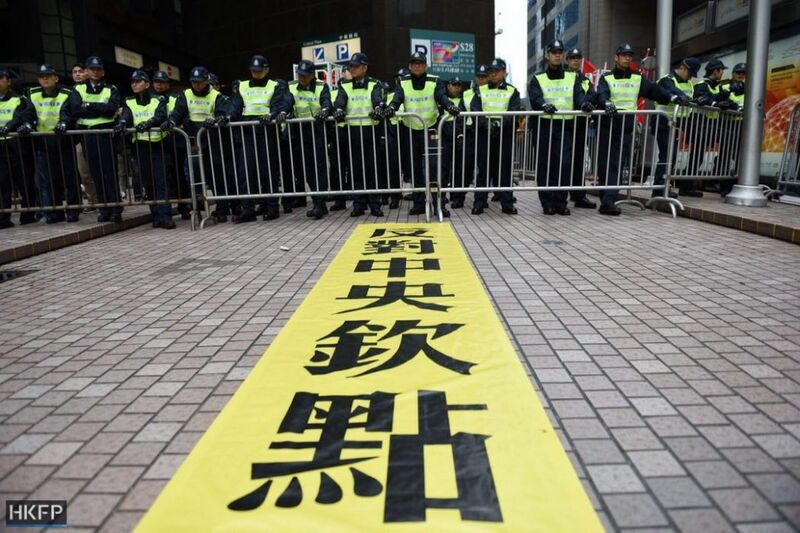 In the cordon, some pro-democracy protesters swore at the pro-Beijing camp. Some claimed that they were only allowed to leave after providing their identity card numbers to the police – as they had organised an illegal assembly. After voting ended at 11am, the seven marching legislators returned to announce that they had cast blank votes, in protest of the small-circle nature of the election. 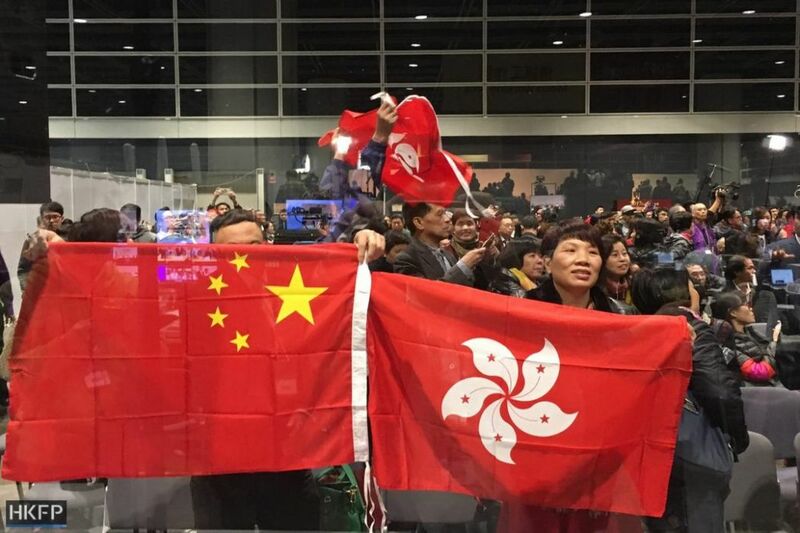 The pro-Beijing demonstrators who managed to enter the public area of the election venue unfurled Chinese and Hong Kong flags upon realising that Lam had received the requisite number of votes to be elected at around 12:40pm. 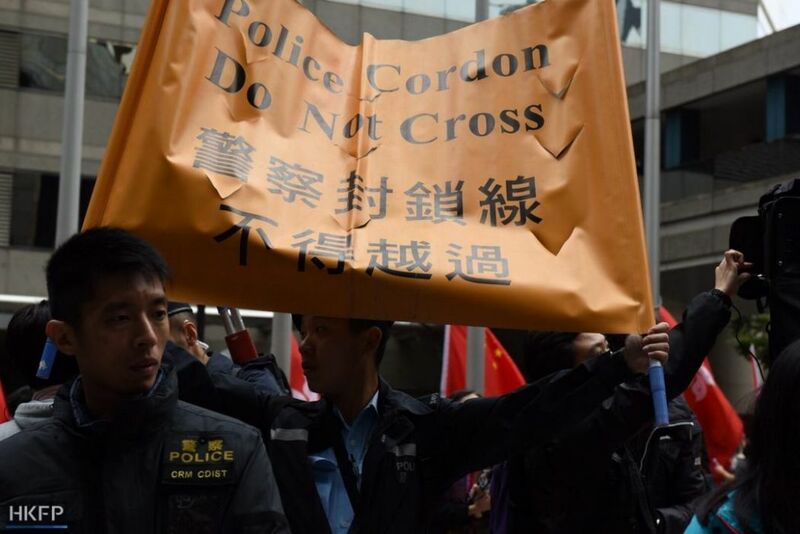 The pro-democracy demonstrators are set to continue their march westwards to the China Liaison Office – Beijing’s government organ in Hong Kong – in the afternoon.